OPI Nail Polish, Glitter Bit of Music, SR4D3, .50 fl. oz. Glitter topper with scattered gold micro-glitter in a clear base. Great for layering over other nail colors. 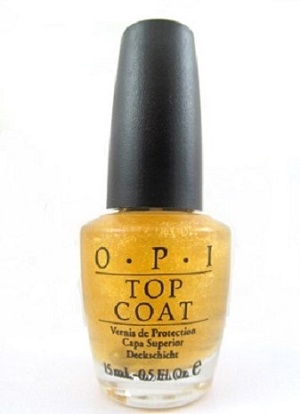 Gives a subtle gold sparkle to nails. OPI Holiday In Harmony Collection.